Levobunolol is a noncardioselective beta-adrenoceptor blocking agent, equipotent at both beta1 and beta2 receptors Levobunolol is 60 times more potent than its dextro-isomer in its beta-blocking activits; yet equipotent in its potential for direct myocardial depression. The usual dosage is one drop in the affected eye(s) once or twice a day. BETAGAN is indicated for the control of intraocular pressure in chronic open angle glaucoma and ocular hypertension. 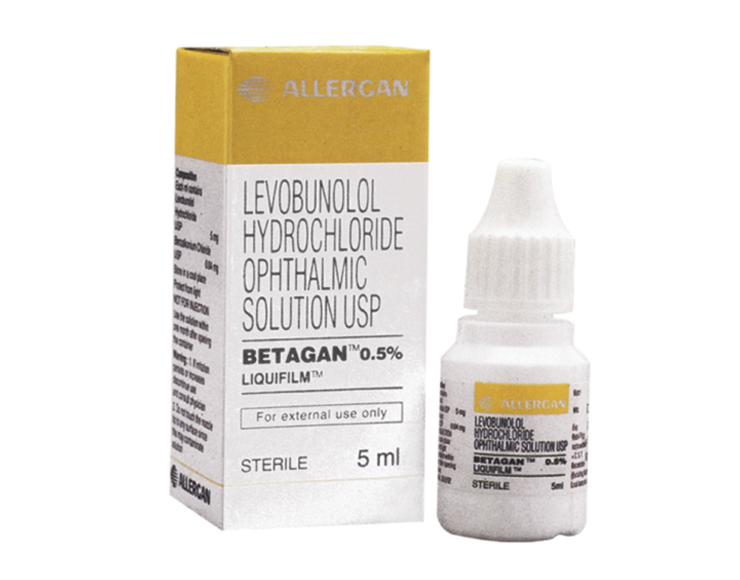 BETAGAN is available as a sterile ophthalmic solution in 5 mL plastic dropper bottles.